Idris Elba was the main attraction at the Tanqueray Gin Palace opening last night, but what did we learn about the impossibly dashing star of The Wire? 2) His power to charm the ladies is second to none. 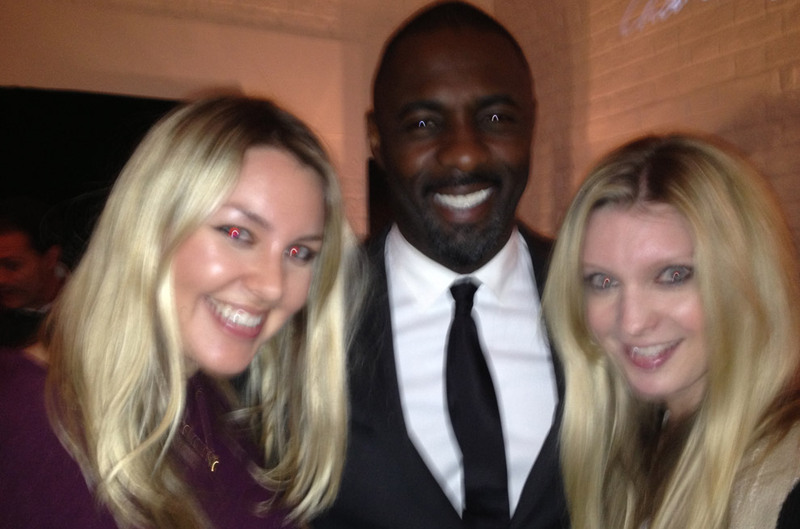 I confidently strode up to Idris at the party, mumbled something about working for Marie Claire and then proceeded to blush and fall apart under his no nonsense gaze. His hand on the small of my back during the photo below (that’s me on the left) didn’t help matters much. 4) He’s into extreme sports. He told us that he was ‘hoping that the weather clears up quickly as he is planning to go white water rafting in Wales over the Easter weekend’. 5) He’s a softie, but in a manly way, of course. Earlier in the day Idris had attended the Prince’s Trust Success Awards and he told us that he had a tear in his eyes at some of the moving stories he heard at the event. All together now: aaahhhhh. 7) He’s a bit jetset. Idris, who’s taking a bit of a break from acting to concentrate on his music (he calls himself Driis), had flown in from Miami, where he performed at the Winter Music Conference, and went straight to the Prince’s Trust Awards. The Tanqueray Gin Palace opens to the public on 27th and 28th March so gin aficionados can ease into the Easter break while enjoying unique cocktails in the setting of the 19th Century gin palace as re-imagined by Tanqueray.